The Trail-Gear Heavy Duty Winch Hook is a Grade 80 half-link style hook that easily attaches to your winch line thimble. The spring loaded safety latch makes it easy to attach to a tow strap or winch line extension and keeps the hook attached to the load. The red powder coated finish protects the hook from corrosion. 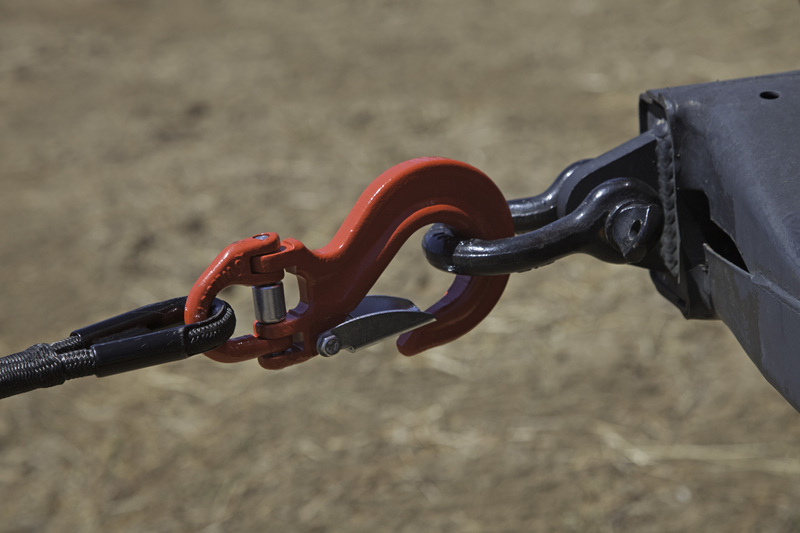 With a breaking strength of 25600lbs, this hook can handle the toughest recovery situations.